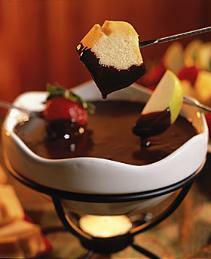 Delicious recipes for fondue, mousse, pastries and French toast. Nutella, the original hazelnut spread, is a combination of roasted hazelnuts, skim milk, and cocoa with a creamy consistency and a chocolate taste with a hint of roasted nut flavor. Nutella is to Italians what peanut butter is to Americans. Delicious and easy for a quick breakfast or after-school snack, it can be spread on bread, bagels, crackers or croissants and enjoyed with a glass of milk or used as a dip for slices of bananas, apples or strawberries. 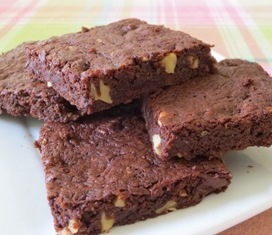 Substitute Nutella in recipes calling for peanut butter and discover a whole new taste sensation. Nutella, a delicious combination of ground nuts and cocoa, is one of the most recognizable commercial foods in the world. Its more sophisticated predecessor, gianduja, was created in the early 19th century in Turin, Italy, by chocolatiers who added abundant local hazelnuts to their chocolate. Today, Nutella is the number one spread in Europe. In Germany, Nutella is a favorite breakfast spread and in both Italy and France it is a popular after-school snack. Worldwide, it outsells all peanut butter brands combined. Nearly three generations of Europeans have grown up eating Nutella, which was created in the 1940's by Pietro Ferrero, a pastry maker and founder of the Ferrero Company. During the 1940's, cocoa was in short supply due to war rationing and chocolate was a considered a real delicacy. So Pietro Ferrero decided to mix cocoa with toasted hazelnuts, cocoa butter, and vegetable oils to create an economical chocolate spread, which he called "pasta gianduja." It was an immediate success. In February 1946, 660 lbs. were sold. To keep up with the demand, Ferrero worked with local farmers to improve and extend the cultivation of hazelnuts. In 1949, Ferrero made a "supercrema gianduja" which was more creamy and spreadable. This product became so popular that Italian food stores started a service called "The Smearing". Children could go to their local store with a slice of bread for a "smear" of the chocolate spread. 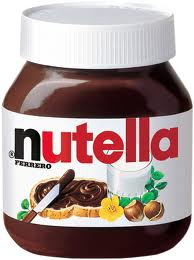 In 1964 supercrema gianduja was renamed Nutella. The first jar rolled off the production line in the city of Alba on April 20, 1964 and began to be marketed outside Italy. Each jar contains 13 oz. of Kosher certified dairy chocolate hazelnut spread and is stamped with a "sell by"date. Nutella can be stored for up to one year. Jars, both unopened and opened, should be store at room temperature. Keep the jar tightly closed and stored in a cool place. Do not refrigerate Nutella or it will be difficult to spread. Excessive heat may cause the oils to spread. Simply mix with a spoon to redistribute the oil.